Pasta is more than just delicious; it’s also sustainable — produced with less of an impact on the environment than a lot of other foods. New dietary recommendations from the Dutch government recommend slashing meat consumption by almost half for reasons of health and sustainability. Other countries like Brazil and the United Kingdom have incorporated sustainability into their dietary guidelines, encouraging more plant foods (like pasta), and fewer animal foods (like meat and dairy). While sustainability was not included in the 2015 U.S. Dietary Guidelines, a national poll from the Johns Hopkins Center for a Livable Future found that 74% of Americans say dietary guidelines should include sustainability measures, and that 92% believe that producing food in a sustainable way is a high priority. 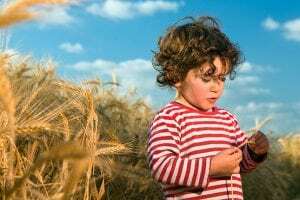 Through its Roadmap to a Resource Efficient Europe, the European Union adjusted its dietary recommendations to less animal-based and more plant-based foods. Additionally, LiveWell for LIFE demonstrates how low-carbon, healthy diets can help achieve a reduction in greenhouse gas emissions from the EU food supply chain. We are learning that the health of our bodies is greatly intertwined with the health of the planet, and pasta is a prime example of this relationship. As the planet continues to move toward climate uncertainty, food choices will need to make the best use of the earth’s precious resources. Pasta is the perfect, environmentally friendly pick. Research published in Ecosystems found that grains (like the wheat used to make pasta) use only 0.51 liters of water to produce 1 calorie of food. Similarly, the carbon footprint of pasta is only 15.5 oz CO2eq/lb (34.44g CO2eq/kg), much lower than many other foods. At the 2015 Healthy Pasta Meals Scientific Consensus meeting, organized by the nonprofit Oldways, nutrition experts added a new point to the Scientific Consensus statement, declaring that “pasta is a simple plant based food, and has a low environmental impact.” Top Russian scientists added their names to the Consensus Statement during the 2016 World Pasta Day event in Moscow. The Union of Concerned Scientists (UCS) reached a similar conclusion, noting that while locally grown foods are a sustainable choice, “there are more-effective ways to reduce global warming emissions through dietary changes,” such as by choosing low emission foods like pasta. The Union of Concerned Scientists’ data singles out pasta as a low emission food. According to Riccardo Valentini, winner of the Nobel Peace Prize for his work on sustainability with the Intergovernmental Panel on Climate Change (IPCC) and Professor at the University of Tuscia (Italy), foods like pasta can contribute to reducing the global warming of our planet. “Feeding the planet sustainably has become one of our greatest challenges. Plant-based foods like pasta have a very low carbon footprint. As a simple and nutritious food available worldwide, pasta can be part of the solution,” said Prof. Valentini. Use only the amount of water needed. On average use 1 liter per 100 grams of pasta and if it’s short pasta then 700ml is enough. Cover the pot with a lid to make the water boil faster thus using less energy. Never add salt to the water until it is boiling because it slows the time it takes to boil. Reuse the water left over from cooking in order to reduce waste. Add some to your pasta sauce, use to steam vegetables or water your plants with it. Cook (or finish cooking) the pasta directly in the pan, with the sauce, like a risotto. Make a one pot pasta like Michelle Obama shared with Cooking Light. Or how about using a pressure cooker like Davide Scabin famously did during his appearance at Identità Golose in 2015? Scabin estimated using a pressure cooker to prepare pasta would save each Italian 224 liters of water per year totaling 17 billion liters of water saved — the equivalent of approximately 70 Olympic swimming pools. All across the globe, pasta has a centuries-old tradition of being the original “kitchen sink” meal—a perfect way to transform leftover vegetables, cheeses, and other ingredients into a satisfying, complete dish. Our ancestors were far less wasteful than we are today, and pasta certainly made their job easier. Whether it was combined with olive oil, greens, and tomatoes in the Mediterranean, or soy and vegetables in China, pasta has long been a delicious way to make precious foodstuffs stretch into multiple meals, without letting food go to waste. As sustainable food systems and waste reduction capture public attention, pasta will no doubt continue the tradition as a healthy and sustainable food staple. 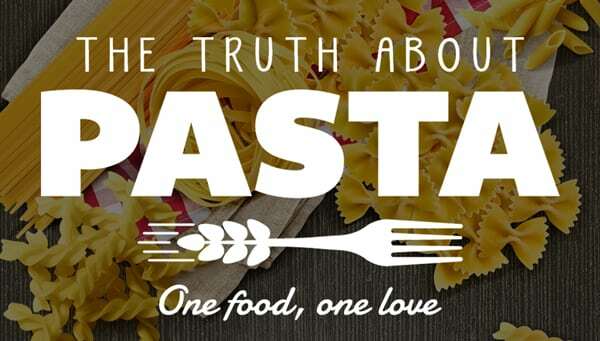 For additional resources on sustainability, health, recipes and more from the International Pasta Organization, please visit the Pasta For All web site.